The High Line’s last undeveloped section. The West Side Freight Elevated, colloquially known as the High Line (shouldn’t all elevated trains be High Lines?) has undergone a complete makeover from 1999, when the Giuliani administration wanted to tear it down, through the preparation period after Friends of the High Line secured enough money and high-powered support to preserve it, and its new incarnation beginning in 2009 as a high-concept public park. There’s a one-block section downtown that won’t, apparently, be seeing any tourists or strollers—it’s a secret section that’s been preserved in situ since its retirement from active service in 1980. The High Line was constructed in 1934 as a partner to the old West Side (Miller) Highway, with which it shares, or shared, many Machine-Age, streamlined design elements. There’s not a lot of ornamentation, but the High Line does have distinctive iron railings that were, thankfully, kept when it was made into a park. The High Line was in service, shipping goods from carfloats in the Hudson to business along its route, from 1934 to 1980. Originally running from West 34th between 11th and 12th Avenues south to St. John’s Terminal at Charlton Street, it was gradually shortened before and after its closure, as it was cut back to Bank Street in the 1960s and then to Gansevoort Street in the 1980s. There’s a one-block section of the Freight Elevated remaining that is more or less untouched since the line was deactivated in 1980. 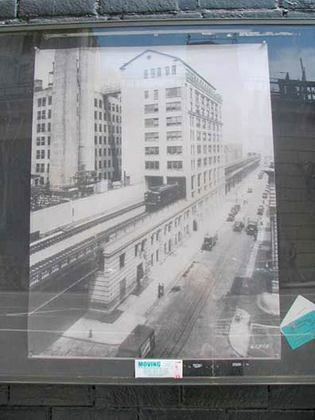 The line actually was constructed through a number of buildings along its route up Washington Street and 10th Avenue; a photo in the window of Automatic Slims at Washington and Bank shows a freight busily plying this stretch. The tracks ran though a formidable light brown brick building originally built as the Bell Laboratories of the American Telephone & Telegraph Company from 1861 to 1898. There are a couple of buildings in the complex, which fills the entire block of Washington, West, Bethune and Bank Streets. Here, some of the 20th century’s more notable inventions came to fruition, including the vacuum tube, radar, “talkie” motion pictures, and the digital computer. The building was converted to artist housing in 1969; at present it is home to over 300 artists (and their families) of every genre and milieu. For many years the Greenwich Village Halloween Parade stepped off from here. 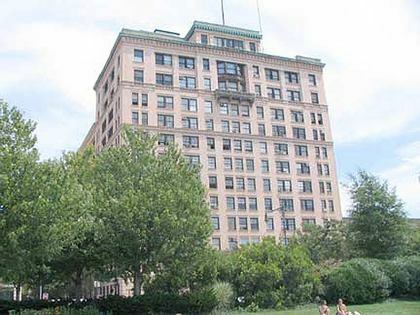 “Fast and Furious” actor Vin Diesel grew up here; tragically, photographer Diane Arbus committed suicide here in 1971. 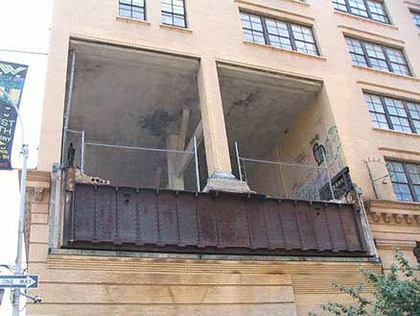 When the West Side Freight Railroad was demolished south of Gansevoort Street in the 1980s (the notion of an extended park on the old right-of-way wasn’t a consideration until the first decade of the 21st century) this block-long stretch was left in place; it would have been impractical to remove the superstructure. In the 1990s, an abstract art piece depicting a locomotive could be seen on the building from Washington Street, but it disappeared long ago. On this truncated section on Bank Street, a small piece of the original stylized fence is still there. You can see how slapdash the original demolition job was. 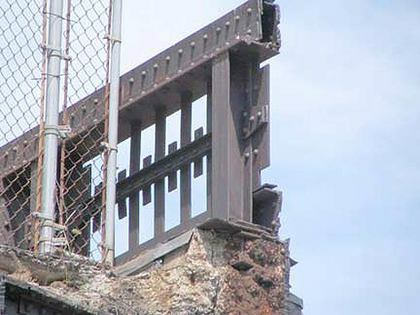 This piece of the High Line will remain in place, without the drastic makeover the main body uptown has gotten, until, perhaps, a developer takes over “Westbeth” and remakes it to match the uptown section. There’s no present danger of that happening.